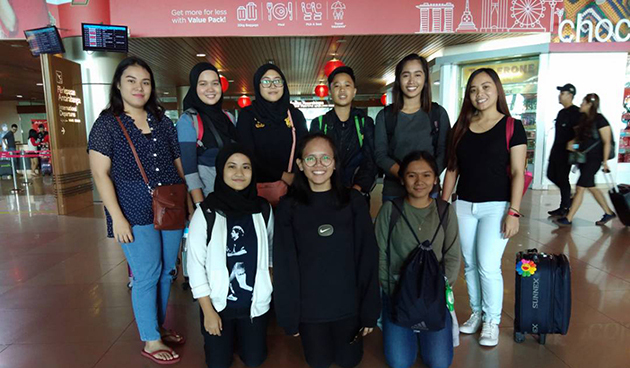 The Sarawak women’s team with Villavein Jee (right) at the Kuching International Airport before flying off to Kuala Lumpur yesterday. KUCHING: The Sarawak Kabaddi Association are sending two teams to the Puchong Rebornz Kabaddi Championship at Dewan SJK (T) Puchong Batu 14, Selangor from Feb 24 to 25. Sarawak head coach Ganisan Punisamy said Sarawak would be represented by 12 boys and 10 girls in the two-day competition organised by Puchong Rebornz Kabaddi Association. Teams in the boys competition include Sri Devi Dragon, Sri Devi Tiger, Sri Devi Puma, Cheetah Riders A, Cheetah Riders B, Ipoh Boys, Kg Pandan A, Klang Boys, Adect Melaka Indian Crew, Utama Boys, Indian Power and Bumi Kenyalang (Sarawak). As for the girls competition, the teams are Sri Devi Angels, KJ Supreme Girls, Klang Girls, Cheetah Riders, Perdana Girls and Bumi Kenyalang (Sarawak). “We are targeting for a top-three finish in the boys category and for the girls to reach the semi-finals. “This is the first tournament of the year for our players and I hope they can gain valuable exposure and do well in the championship,” said Ganisan. He said the majority of the players in the girls team are new faces while the boys looked strong and hoped they could do well in Puchong. Accompanying the team are team manager Ramachandran Ramasamy who is the president of the Sarawak Kabaddi Association and Sarawak Sports Corporation coordinator for kabaddi Villavein Jee.